Peak Health Solutions, LLC. is a leading national provider of mid-revenue cycle solutions to acute care and physician practice markets. 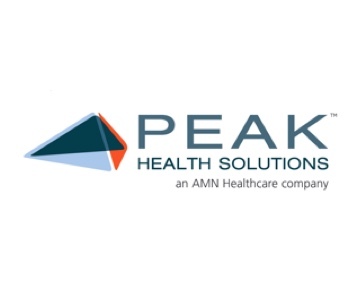 Peak’s customizable services, provided by over 500 HIM professionals, include remote medical coding, clinical documentation improvement, compliance and revenue integrity auditing, denials management, physician training and education, EMR-HIM optimization, preceptor development, and interim HIM staffing. Peak provides both fully and partially outsourced solutions through its domestic and offshore capabilities. Our national client footprint includes multi-facility hospital systems, large IDN’s, teaching and community hospitals, and large physician practices. Peak’s Government division supports the United States Armed Forced, including the Department of Defense, and its Veterans receiving services at the Department of Veteran’s Affairs.